Shane our front man is our resident WEDDING D.J. 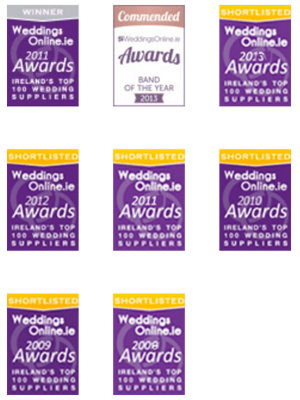 If you need a wedding DJ to continue your festivities after the wedding band have struck the last chord – Shane’s your man. His ALTER EGO (D.J. P.J.) is a ‘different’ type of wedding entertainer. Already familiar with Shane your wedding guests will feel right at home harassing him for the most obscure music their heart desires. And Shane has it all on-tap. Shane claims to have purchased every commercial record (that a musician can use) in his 20-year long career as a wedding entertainer. He is one of the worst wedding DJ’s in Ireland (his own words) and yet always puts on a great and very fun-orientated show, maintaining A FULL DANCE FLOOR and entertaining your guests into the small hours. Shane always selects a different entertainment texture when striking up a Wedding DJ-Session to add to the variety and changing mood of an evening. 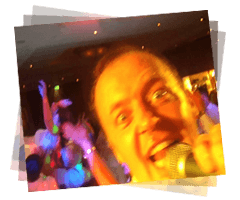 This is a completely versatile service and Shane can keep it lit with a continuing, positive wedding vibe or make the night as Pop-Orientated, Rock-Orientated or Club-Orientated as your personal taste requires. Shane’s function as Wedding D.J. further ensures a seamless transition between band and DJ. 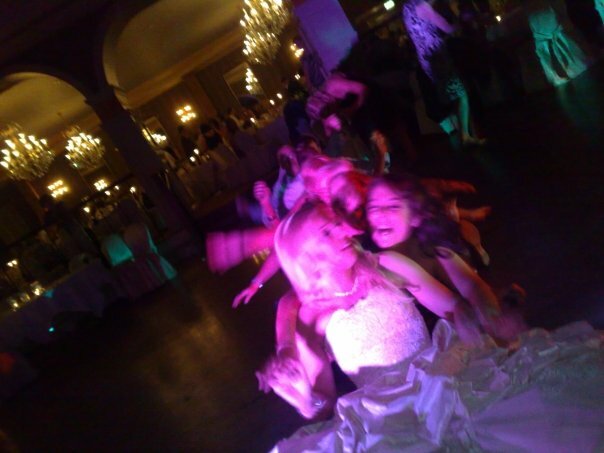 By engaging our wedding DJ service you also have the luxury of using the band Public Address System and Lighting Show which are very sophisticated and of the highest quality available on this planet at least. Another advantage of using our wedding D.J. service is that your guests won’t see another wedding D.J. setting up towards the end of the wedding band’s final music set.